NCRA member Lisa Black’s firm, Migliore & Associates, provided pro bono services in a case where a Florida man was exonerated after 14 years behind bars. The Brownsville Herald, Edinburg, Texas, reported on March 23 that a shortage of court reporters has led judges in Hidalgo County to seek higher pay for these positions. In an article posted March 10 by MoneyInc.com, legal scoping was named as one of the top 10 best work-from-home jobs in 2019. 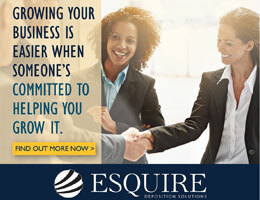 In a press release issued Feb. 19, Esquire Deposition Solutions announced a Remote Court Reporter service offering, which helps address the nation’s court reporter shortage by leveraging existing video conferencing technology to allow court reporters to report depositions across the country – including in remote locations – without sacrificing quality or efficiency. In a press release issued Jan. 22, Naegeli Deposition and Trial announced that it has teamed up with Cicayda to combine its court reporting and trial support services with Cicayda’s eDiscovery software and services. 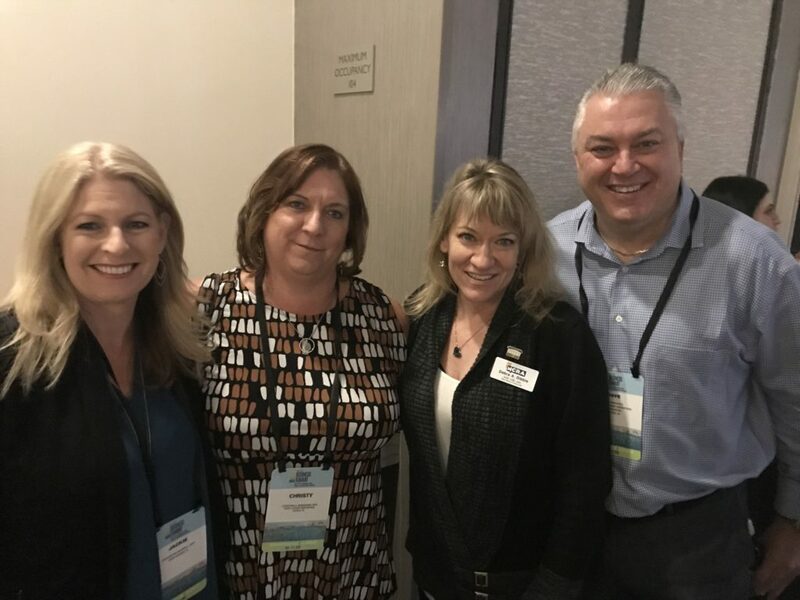 Jackie Burrell, Fort Myers, Fla., Christine Bradshaw, Ocala, Fla., Debbie Dibble, Salt Lake City, Utah, and Dave Wenhold, NCRA Interim Executive Director & CEO at the 2019 Business Summit. 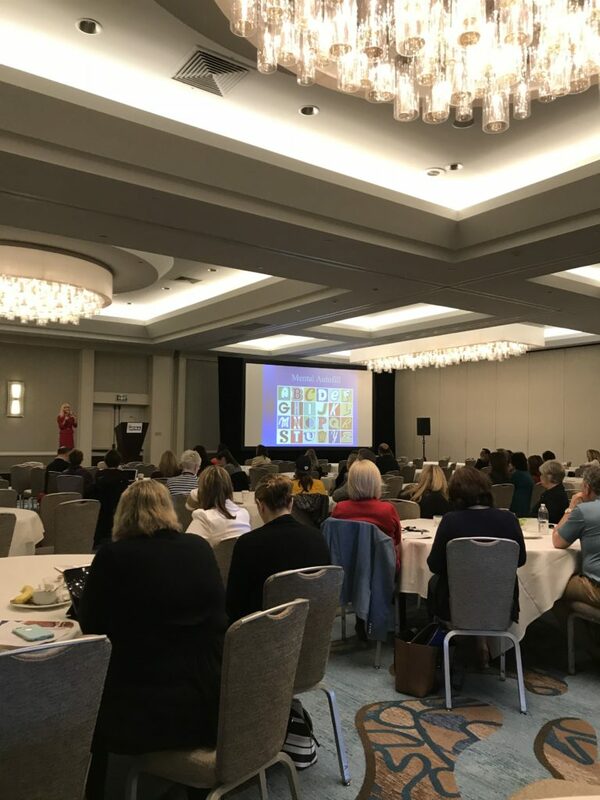 NCRA’s 2019 Business Summit held Feb. 1-3 in San Diego, Calif., attracted more than 170 attendees representing firms of all sizes from across the country and abroad and, as promised, delivered cutting-edge content and valuable takeaways for everyone. 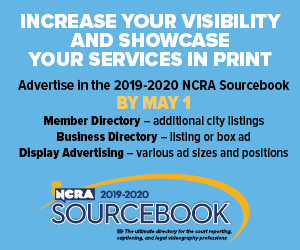 Formerly called the NCRA Firm Owners Executive Conference, this year’s event was positioned to provide new and inspiring sessions designed to deliver the latest in business trends for success. Highlights of the 2019 Business Summit included ample networking opportunities, a discussion about trends in the industry by a panel of experts, a lesson on how to use storytelling as an influencer, and a keynote session focused on how simple shifts in everyday routines and mindsets can have a positive impact on leadership. Other sessions included a look at the importance of community engagement and how to deal with difficult people. In addition, attendees watched a special Veterans History Project live interview that captured the story of Rear Adm. Ronne Froman, USN (Ret.) Froman served 31 years in the U.S. Navy and was the first woman to serve as commander of the U.S. Navy Region Southwest, responsible for nearly 90 Navy stations and bases around the world with a $7 billion budget. 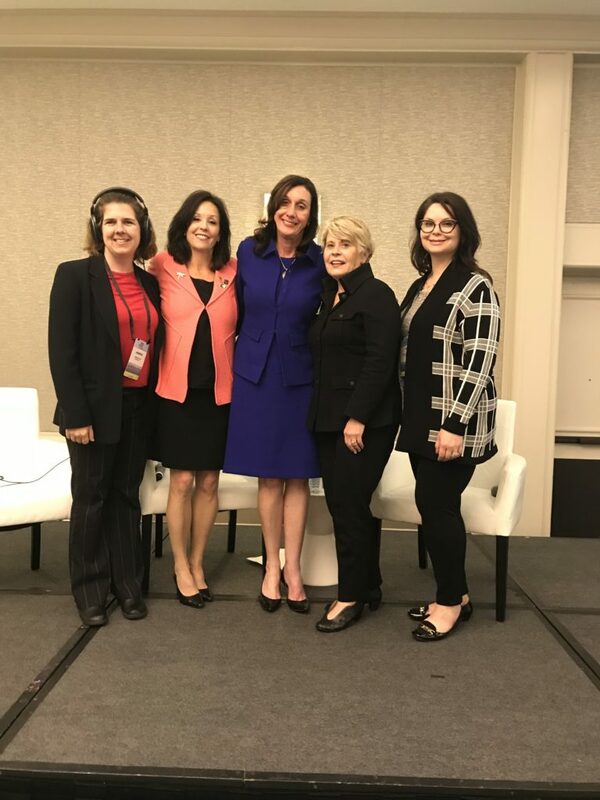 The VHP panel included videographer Jennifer Eastman, San Diego, Calif., Jan Ballman, Minneapolis, Minn., Rosalie Kramm, San Diego, Calif., Rear Adm. Ronne Froman, and court reporter Tricia Rosate, San Diego, Calif.
NCRA member Cheryl Mangio, RMR, CRR, CMRA, a freelance court reporter and agency owner from Seattle, Wash., said she found the session “Tough Love Part 2” extremely valuable. 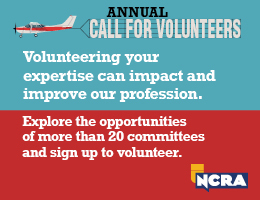 It was led by past NCRA Director Mike Miller, FAPR, RDR, CRR, a freelance court reporter from Houston, Texas. 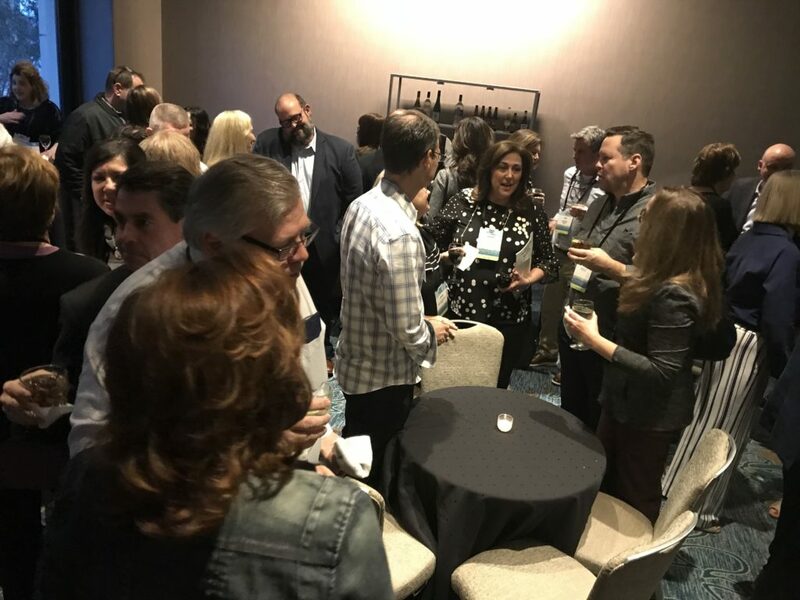 “I have always attended [the] Firm Owner’s [conference] and so naturally wanted to attend the Business Summit – I always learn so much and love seeing all of my colleagues who are so dear to me. 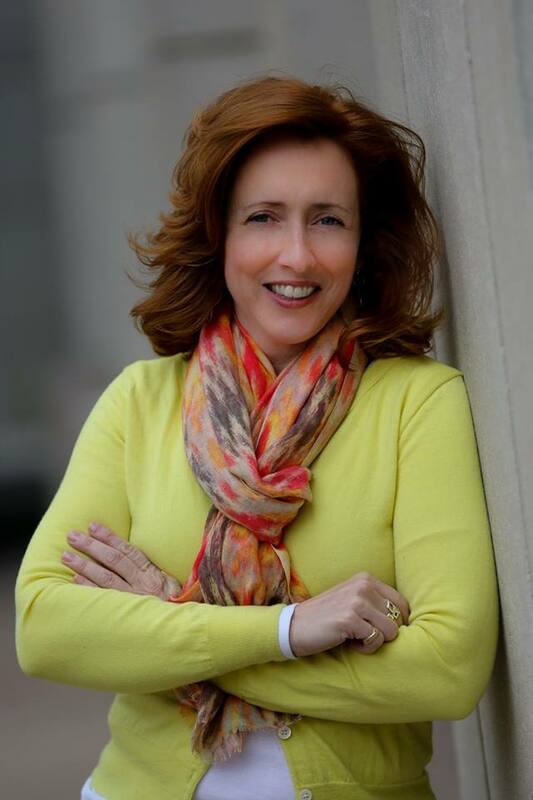 If you want to feel the pulse of the industry and learn from other firm owners and leaders, you need to attend conferences with like-minded individuals,” she added.